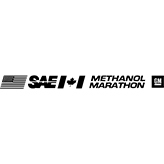 Methanol Marathon (1988-1989) was an alternative fuels competition for 15 colleges and universities in North America. Sponsored by the U.S. Department of Energy and General Motors Corporation, schools were selected based on the best proposals for converting 1988 Chevrolet Corsicas to operate on M85 (85% methanol, 15% hydrocarbons). General Motors provided kits of specialized parts to assist the schools with the conversion and teams were tasked to re-engineer these vehicles in under five months. 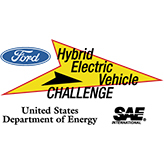 The Hybrid Electric Vehicle (HEV) Challenge, conducted annually for three years, was an intercollegiate competition created by the U.S. Department of Energy (DOE) and the Society of Automotive Engineering (SAE). The HEV Challenge began with 18 Ford Escorts and 12 Ground-Up vehicles in 1993, 12 Saturn SL2 sedans were added in 1994, and 12 Dodge Neons were added in the 1995 HEV Challenge. 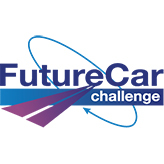 FutureCar Challenge, conducted annually between 1995 and 1999, challenged North American universities to design and apply advanced technologies to mid-sized sedans. 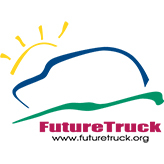 Parallel to the goals of the Partnership for a New Generation of Vehicles (PNGV), the FutureCar Advanced Vehicle Technology Competition (AVTC) series utilized advanced technologies and hybrid electric vehicle powertrains to achieve 80 miles per gallon, while offering the same comfort, safety, and affordability that consumers expected from conventional vehicles. 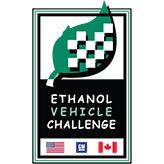 The Ethanol Vehicle Challenge was developed to demonstrate the potential of ethanol to significantly lower emissions, improve performance, increase fuel efficiency, and improve cold starting of vehicles. 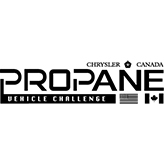 During the three years of this Advanced Vehicle Technology Competition, the platform changed from a 5-passenger Chevrolet Malibu to a full-size Chevrolet Silverado to reflect consumer demands for larger vehicles and more power. In the first decade of the new millennium, the American automotive customer market trended toward larger family-sized vehicles. At the same time, an increased need to reduce energy consumption, as well as decreased vehicle emissions, was becoming imperative. 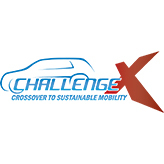 As a result, the automotive and electronics industries, the U.S. and Canadian governments, and the academic community worked together to launch Challenge X: Crossover to Sustainable Mobility. 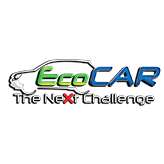 EcoCAR: The NeXt Challenge was a three-year collegiate advanced vehicle technology engineering competition established by the United States Department of Energy (DOE) and General Motors (GM), and was managed by Argonne National Laboratory. 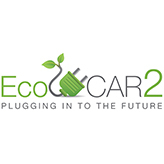 EcoCAR 2: Plugging In to the Future was a three-year collegiate advanced vehicle technology engineering competition established by the United States Department of Energy and General Motors (GM), and was managed by Argonne National Laboratory. 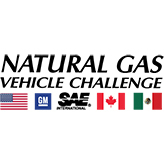 The competition challenged 15 universities from across North America to reduce the environmental impact of the 2013 Chevrolet Malibu by improving its fuel efficiency and minimizing the vehicle’s emissions while retaining its performance and consumer appeal. 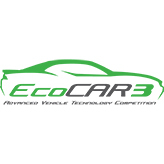 EcoCAR 3 is the latest U.S. Department of Energy (DOE) Advanced Vehicle Technology Competition (AVTC) series and is North America’s premier collegiate automotive engineering competition. The U.S. DOE and General Motors are challenging 16 North American universities to redesign a Chevrolet Camaro into a hybrid-electric car that will reduce environmental impact, while maintaining the muscle and performance expected from this iconic American car.